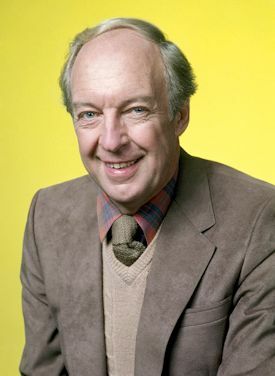 Veteran actor Conrad Bain, who played Phillip Drummond in Diff'rent Strokes and Dr. Arthur Harmon in Maude, has died. He died of natural causes on January 14 at a retirement home in Livermore, California. Mr. Bain was 89. Conrad Bain was born on February 4, 1923, in Lethbridge, Alberta, Canada. His career began as a stage actor in a Connecticut production of Dear Ruth in 1947. Bain's other theatre credits included The Iceman Cometh, Candide, Advise and Consent, An Enemy of the People, Uncle Vanya and On Borrowed Time. Bain's television career began in 1952 with an appearance in Studio One. His early television guest appearances included The Defenders, The Trials of O'Brien and N.Y.P.D.. In 1966, he played Mr. Wells, the town innkeeper, in Dark Shadows. He appeared in four episodes in the first two seasons before his character was killed off by werewolf Chris Jennings. In 1970, he appeared as Dr. Charles Weldon #1 in The Edge of Night. Bain's film credits in the 1960s and 1970s included Madigan, A Lovely Way to Die, Coogan's Bluff, I Never Sang for My Father, Bananas, The Anderson Tapes, Up the Sandbox and C.H.O.M.P.S. In 1972, he landed his first starring television role in Maude. The All in the Family spin-off aired for 6 seasons on CBS from 1972-1978. 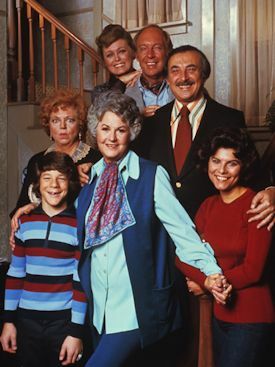 The series starred Bea Arthur, Bill Macy, Adrienne Barbeau, Rue McClanahan and Esther Rolle (1972-1974). Bain played the role of Dr. Arthur Harmon, Maude and Walter Findlay's next-door neighbor and the best friend of Walter. Arthur was initially a widower in the series, but he later started dating Maude's best friend, Vivian (Rue McClanahan), at the beginning of the second season. Their characters were married in the middle of the season in February 1974. His identical twin brother, Bonar Bain, played his twin brother Arnold in the 1977 episode Vivian's Surprise. Bain's best known role was as Phillip Drummond in Diff'rent Strokes. The popular sitcom ran for 8 seasons on NBC from 1978-1985 and ABC from 1985-1986. Philip Drummond was the wealthy father of daughter Kimberly (Dana Plato) and adopted sons Arnold (Gary Coleman) and Willis (Todd Bridges). Their family lived in an apartment on Park Avenue in Manhattan. He was the president of the huge conglomerate Trans Allied, Inc. Bain also appeared as Mr. Drummond in The Facts of Life pilot episode and the crossover episodes with Hello, Larry. In 1996, he reprised his role and appeared with Gary Coleman as prospective buyers of the mansion in the final episode of The Fresh Prince of Bel Air. He reunited with Coleman and Bridges in March 2003 at the TV Land Awards to present the award for "Funniest Food Fight." Following the end of Diff'rent Strokes, he appeared in the 1987-1988 Fox sitcom Mr. President. He played the affable Charlie Ross, who was the loyal Chief of Staff to President Samuel Arthur Tresch (George C. Scott). In 1990, he played the role of Grandpa in the film Postcards from the Edge. He had been retired from acting since 1996, except for a stage role in Ancestral Voices in 2000. Survivors include three sons, one daughter and his identical twin brother, Bonar Bain. Conrad was married to Monica Sloan from 1945 until her death in 2009. Jennifer Bain had this to say TMZ about her father: "He was an amazing person. He was a lot like Mr. Drummond, but much more interesting in real life. He was an amazing father." Mr. Drummond was one the greatest dads in TV history. Gary Coleman may have been the big star of the show, but Bain was the glue who held everything together. He had many hilarious lines and scenes. He will be greatly missed. Share your memories on our Diff'rent Strokes and Maude message boards. View photos in our Diff'rent Strokes and Maude photo galleries. 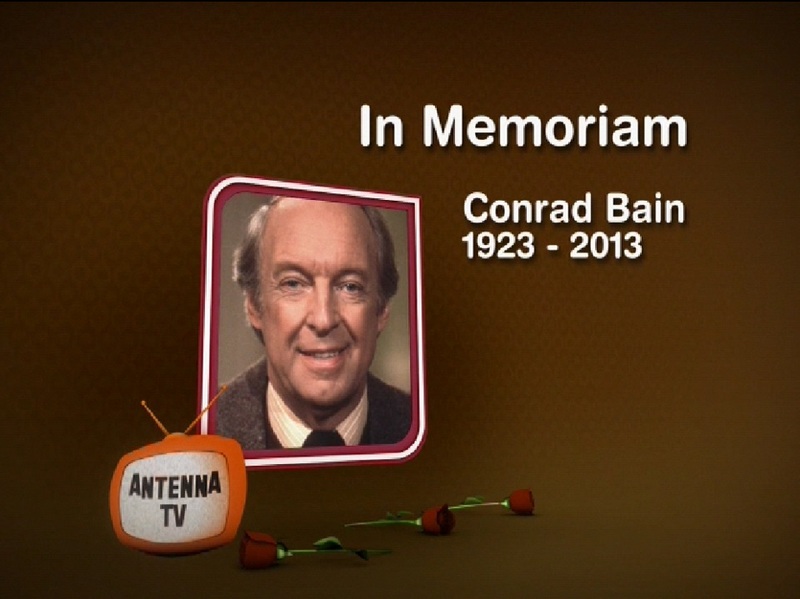 Antenna TV will pay tribute to Conrad Bain by airing a marathon of some of his finest work on episodes of both of his long-running series. 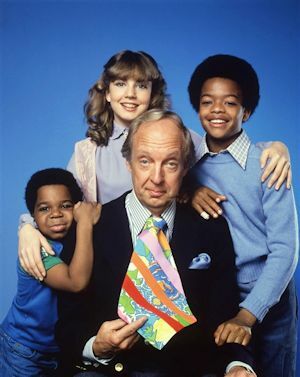 They will air "A Tribute to Conrad Bain" this Saturday (January 19, 2013) from 1-8pm ET, with eight episodes each of Maude (1-4pm ET) and Diff'rent Strokes (4-8pm ET). View the episode info for this tribute marathon. We will let you know if any other network or station is planning a tribute. Seven-time Emmy Award winner Betty White will be celebrating her 91st birthday in style as a star-studded line up of special guests pays tribute to one of the world's most beloved entertainers in Betty White's 2nd Annual 90th Birthday Special, airing Tuesday, February 5 at 8pm ET on NBC in her Off Their Rockers timeslot. Blake Shelton, Bill Cosby, Whoopi Goldberg, Sean Hayes, Rico Rodriguez, Lily Tomlin and Sarah Silverman will honor America's comedy sweetheart, along with Bill Clinton, the 42nd President of the United States. Also on hand to deliver birthday wishes will be Vicki Lawrence -- reprising her popular title role from Mama's Family -- Katie Couric and White's Hot in Cleveland co-stars Valerie Bertinelli, Jane Leeves and Wendie Malick, as well as Zachary Levi, Larry King and Kate Flannery. The evening will include special performances - including Shelton singing a tailor-made musical number for the birthday girl - as well as comedy and clips that perfectly capture the irreverent tone, spirit and comedic flair that are the hallmark of White's extraordinary career. At 91 years old, White is one of the funniest and busiest actresses in Hollywood, currently starring on NBC's Betty White's Off Their Rockers and TV Land's sitcom Hot in Cleveland. With a career that has spanned more than 60 years, the star of classic series like The Mary Tyler Moore Show and Golden Girls has created unforgettable roles in television and film. She has also authored seven books and won numerous awards, including those for her lifelong work for animal welfare. 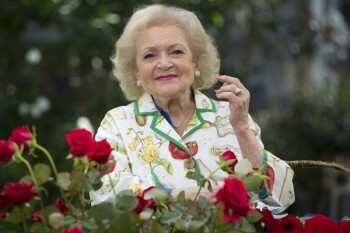 The first Betty White's 90th Birthday aired last year on Monday, Jan. 16, 2012 as a 90-minute special and delivered solid ratings averaging 13.86 million viewers and a 2.7 18-49 rating.